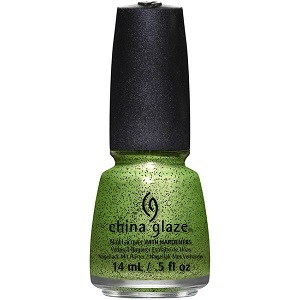 China Glaze Nail Polish, But Of Corpse, 1336, .50 fl. oz. Green metallic base with black micro glitter and silver and gold shimmer nail color.